This Kaya ~ Coconut Egg Jam is creamy, smooth and velvety, unlike the grainy Pandan Kaya version which I posted 'here'. Most people would normally have their kaya with bread, either steamed or toasted but at times I like to snack on crackers with a spread of kaya. 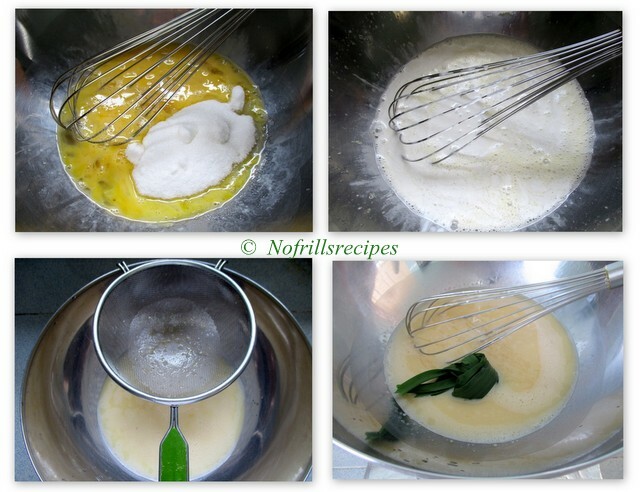 Mix and stir the eggs with sugar, then add in the coconut milk, mix well. Strain the mixture into another big bowl. Heat up some water in a pot on slow fire and place the bowl of egg mixture on top. Make sure that the bowl does not touch the simmering water. Add in the knotted pandan leaves and keep stirring the mixture with a whisk or spatula for about 30 mins. The mixture will thicken a bit. Let rest and stir every other 10 mins. till mixture is creamy and smooth. 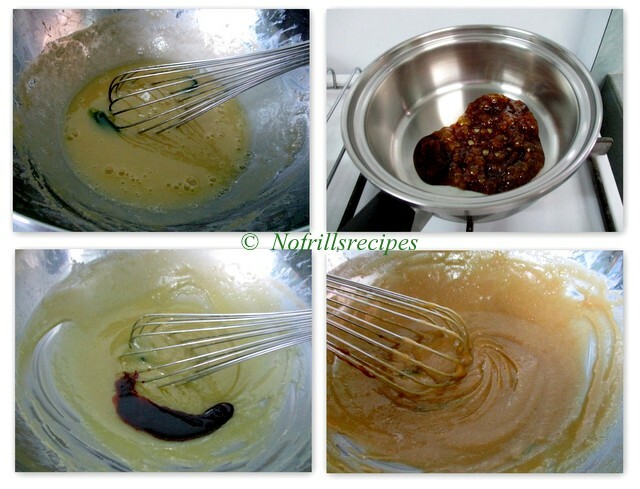 Meanwhile, melt 30 gm of gula melaka/palm sugar and pour it into the egg mixture and mix well. Stir for a while, discard the pandan laves, and with a clean dry spoon transfer the kaya into a dry, sterilised bottle. Tighten the cap and let cool completely before refrigerating.